Q What material is this fixture made of? Metal ? Resin? Other? 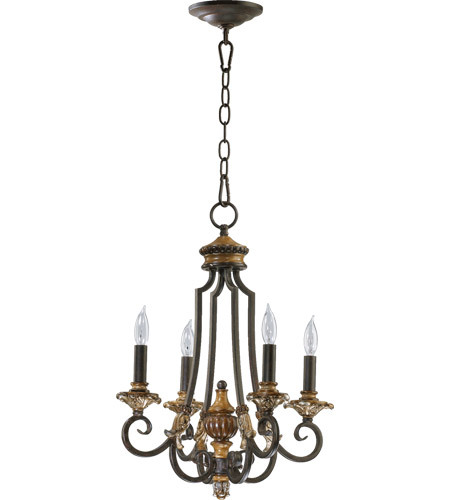 A The Quorum Capella 4 Light 15 inch Toasted Sienna With Golden Fawn Chandelier Ceiling Light 6101-4-44 is made of Steel and Resin.